jjunjun at junjuntianxia has translated the first six chapters and half of seven (as of this post) and has written a character introduction as well. Just click here below to read those. So once you’re all caught up, you can start here with Lily’s translation of Chapter 7. Enjoy! The chapter notes, which follow the chapter translation, give a little more context and some cultural information. “Fei Liu, come out and meet these three gentlemen, we will be intruding upon them for quite a while.” said the Chief of the Jiang Zuo Alliance. The second time they looked around, the trio suddenly felt a chill down their spines. Just a few seconds ago, in what had obviously been an empty room, suddenly stood a little boy dressed in blue clothes; and like the other side of the wall, he stood there silently, without the slightest trace of movement. Mei Changsu had said that after crossing the river, he would always be nearby, and it now made sense. This boy not only had astonishing skills, but after careful examination, it was seen that he was also a very handsome boy. It was too bad he looked so icy and isolated that it seemed as if he were partially frozen, causing no one to dare befriend him. His cold stare only warmed slightly as he gazed toward Mei Changsu, as if that were the only person who he would ever care for in this world. The naturally warm-hearted Yan Yujin was most scared of this type of person, and thus shivered, hiding at a side. Hearing him say this, the three gentlemen originally thought it was funny, but seeing the serious look on Fei Liu’s face as he earnestly nodded, sent a sudden chill through them. This young boy, a master at martial arts, seemed to have a mental deficiency. “Dear Fei Liu is still only a child,” Mei Changsu said, as he held Fei Liu’s hand, affectionately patting him. The warmth in Fei Liu’s eyes was an immediate reaction to Mei Changsu’s affection, and Fei Liu crouched down, resting his head in Mei Changsu’s lap. “See, he even likes being babied. Sometimes he can’t tell the difference from what’s real, and what is not, so just remember that when he is present, be careful not to be too rambunctious . With Mei Changsu as the chief of the Jiang Zuo Alliance, paired with his irresistible charisma, the three noble gentlemen had never planned on being rambunctious with him, but after hearing him say this, they quickly moved away and created a larger distance between themselves and Mei Changsu. This icy boy? Most likable? The three questioned this. What a lie, they would never believe it in a million years. 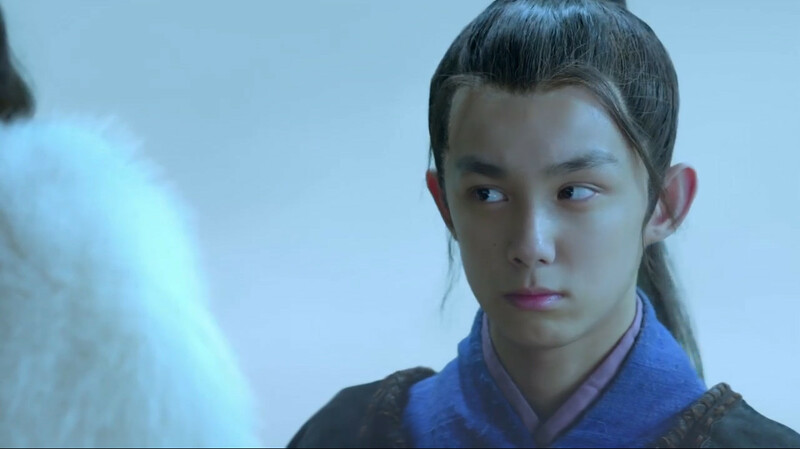 Yan Yujin felt obligated to walk in front, as he was the only one who revealed his true identity, that he was of noble status, to Fei Xin during the journey. Once they reached the garden, an extravagant feast of all sorts of drinks and dishes awaited them. It was too bad that they were all tired of eating such delicacies, and did not have any praise for the prepared feast. Only Mei Changsu warmly gave a few compliments, and Fei Xin sighed with relief. Naturally, Fei Xin tried to get Noble Yan and his friends to stay the night at his prefecture. Though Yan Yujin declined at first, Fei Xin persuaded him to stay. They stayed in an independent guest residence detached from the main prefecture, which had a courtyard, as well as elaborate indoor decorations. The four each chose their own rooms, naturally with Fei Liu staying in the same room as Mei Changsu. Yan Yujin even specially requested the servants to add an extra bed into the room for him. “What else would I do at this time? “Don’t rush to tell me all their talents yet, let me ask you, are they as good as Miss Wan Bo from the Qin Huai River? Yan Yujin turned his head, and saw Mei Changsu who had unknowingly come out, and was standing in front of his room door. Dressed in clothes as white as snow, with no belt, and his black hair loose on his shoulders, made him seem paler, and more frail than usual. “Brother Su, it’s very windy today; you should return to your room, Mister Yan is just up to his nonsense again, there’s nothing good to see” Xiao Jingrui called out. Mei Changsu smiled and said nothing, turned around to return to his room, and closed the windows tightly. Within the blink of an eye, he blew out the candle, and no more sounds came from his room. Fei Xin realized that he had not quite pleased the gentlemen the way he wanted to, thought for a while and couldn’t come up with anything else, so he smiled, said a few kind words, and left. The next day, Mei Changsu and Xiao Jingrui went to the east city gates to see off Yan Yujin’s departure. The one hundred soldiers in their distinctive armor composed a nice squad, and it was evident that each soldier had been carefully chosen. Since they were on a journey to the bustling, flourishing city of Jin Ling, the soldiers all had exuberant spirits due to the fact that they were guards for the son of the Marquis, would be payed well, and also that they would be able to experience the “big city.” The lead of the squad was a robust, vigorous looking military official with the surname Huo; as he greeted Yan Yujin, he spoke loudly and clearly, much to Yujin’s liking. The four guards Mei Changsu had mentioned also arrived on time, all looking rather ordinary in appearance, and even after changing into military uniforms, did not seem outstanding at all. Xiao Jingrui, who was worried about the safety of his good friend, secretly went to test the skills of one of these guards. When he secretly snuck out again, Yan Yujin laughed at him for doing so. Naturally, within the crowd seeing off the departure, was none other than the Fu Zhou Magistrate Fei Xin. He had been busy taking care of all the details of the trip the entire morning, and had even brought a box of local specialities as a gift, hoping that Yan Yujin would “kindly accept this small gift for his father, the Marquis.” Yan Yujin opened up the box and looked in, then shook his head and laughed. Fei Xin dared not insist on it, but proceeded to take out another well-sealed old wine jug together with a basket of mandarin oranges, that were a local specialty, and asked, “Would the young gentleman please bring this to my Great Teacher, your honorable grandfather’s grave, to show respect and admiration from this student and junior.” This time Yan Yujin accepted it without any hesitation. Since it was only a temporary goodbye, and the one parting was very carefree, there was no lingering sadness; as soon as everyone was ready to leave, they waved good bye and left. Xiao Jingrui stood in front of the city gate for quite a while; it wasn’t until all the dust had returned to the ground that he returned back to the city with Mei Changsu. Fei Liu, who was busy amusing himself, appeared and disappeared often. Mei Changsu bought a little candy figurine, then called for him, and of course he appeared at his side within the blink of the eye. After eating his candy figurine, he disappeared again. “Yes. Fei Liu was caught by a very mysterious Japanese organization. The leader of this organization kidnaps and buys children with great potentials for martial arts, and cuts them off from all contact with the outside world. He uses drugs and poisons to control these children. When these children grow up, their mental capabilities cannot fully develop, and cannot tell good from evil, right from wrong. They lack common sense, but they are also highly skilled at the martial arts, and are controlled by the leader for acts of espionage and assassination. What’s funny is that this organization, which had done many acts of evil, had not been punished. However, during one of their assassinations, they accidentally killed the crown prince of Japan, causing the downfall of the organization. In reality, the ruler of Japan knew about the existence of this organization, and did not interfere, but upon the assassination of his only son, he was outraged, and regretful that he hadn’t done anything earlier. These poor children had no ability to live independently, and after the execution of their leader, even those who escaped being captured or who were not hunted down by enemies, were not able to survive by themselves, and eventually died. Fei Liu was the youngest of the children, and had just been taught the tricks of their trade, but had not been released on any of their missions yet; he had no enemies, but was displaced from his home, left alone to freeze and starve to death. At the time, I had just so happened to go to Japan to find a certain herb and some other things, and coincidentally found him, so I brought him back with me.” When Mei Changsu got to the end of his sentence, he spoke in a sorrowful tone, still hurting as he recalled the condition the boy was in. Sociable? Xiao Jingrui tried for a long time to connect this word with this icy little boy. He could see that the belief that the one who has raised a child has a different perception of a child, was true, and did not exclude the Chief of the Jiang Zuo Alliance. “Ah, look, this hair band looks good on my dear Fei Liu,” Mei Changsu suddenly said, and turned around, walking into the store. Xiao Jingrui was dazed for a second by the change, and at the next moment, he saw Fei Liu already standing next to Mei Changsu at the store counter. The store owner took the hair tie Mei Changsu liked, and turned to hand it to Mei Changsu, since he was fearful of the cold-looking little boy. “Jingrui, doesn’t this look good?”Mei Changsu said after helping tie the hair band for Fei Liu, and admiring it. “Yes, it looks good,” Xiao Jingrui sincerely answered, as the royal blue color looked good with Fei Liu’s fair skin. The three picked up their pace, walked through half the town, and arrived at the north city gates rather quickly. Xie Bi was standing before a large, beautifully decorated boat, dressed in rather eye-catching clothes, but he looked so sullen, he almost seemed hostile. “With the time you took, I could lead my horse on and off board forty times! What took you so long? I thought something had happened, and was beginning to worry!” Xie Bi angrily replied. “So sorry, it’s my fault we walked slowly, and rested along the way. 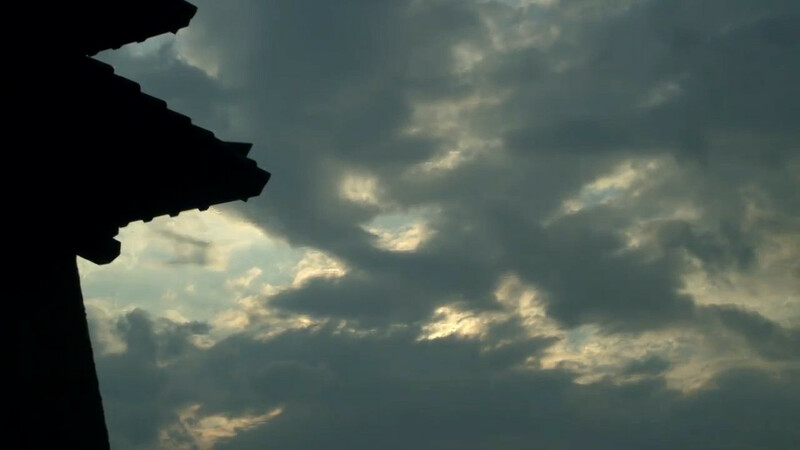 Don’t blame Jingrui, he tried hurrying us along.” Sir Mei of Jiangzuo smiled softly, like a light breeze, taking away the thin clouds, leaving the sky to the sun and its gentle warmth. “It’s okay, let’s board the boat now.” Mei Changsu wisely avoided further quarrel, and boarded the boat. The boatman welcomed them as they boarded. The boat Xie Bi had arranged was beautiful, but old, and the head of the boat had a sign saying “Lang Teng League.” The boatmen were very polite, and the cabin furnishings and refreshments were quite exquisite, probably because they often had officials aboard. “Thought that even if you couldn’t make the top ten on the Lang Ya List, you were still considered very skilled at martial arts? Xiao Jingrui froze for a moment, and looked down, a little discouraged. Engage in actual combat? With his social status, his personality, to engage in actual combat with others, how would that be possible? “Really?” Xiao Jingrui was overjoyed to hear this. Even though he didn’t know what Mei Changsu’s martial arts was like, he knew that if the Chief of the Jiang Zuo Alliance could help him out, it would have unimaginable benefits! He had just finished speaking, and Fei Liu immediately glared at Xie Bi icily, who shivered in fear. Fei Liu held up his gaze a bit, till he slowly averted his eyes, and appeared at Mei Changsu’s side to sit down next to him. 3. Prefecture: The residence or housing of a prefect (a chief officer, magistrate, or regional governor), government official, or member of high social status. 4. xiao: An endearing, affectionate term added to the front of a person’s name, literally meaning “little.” Please note the difference of xiao, meaning little, and Xiao, a surname; Xiao will always be capitalized, and xiao lowercase, despite its position in the sentence. 5. ge-ge: A term for older brother, used either alone, or after a name. 6. Jiang Hu: The martial arts world where people join sects and fight each over and perform heroic deeds. Literally meaning among the rivers and lakes.